Healthcare Panel: Accelerating Discovery and Innovation for Precision Brain Health? Abstract: Despite the depth and breadth of Alzheimer’s Disease research, effective methods for treatment remain elusive. Technology is changing what we can do and how we can do it. Digital technologies have translated into a plethora of wearable sensors and smart home devices flooding the market, with more devices in the pipeline. They offer a solution for monitoring and detecting modifiable brain health related risk factors and behavioral symptoms well before changes meet the threshold for clinical diagnosis. The more transformative opportunity, however, lies in a shift from a medical intervention model of “personalized medicine” to a more comprehensive focus on “personalized brain health” that focuses on preventing disease altogether. Current and emerging artificial intelligence/data science approaches are critical to meeting this scientific vision but are highly dependent on access to high quality healthcare data resources. We address the challenge of shifting longstanding clinical research policies and practices to one centered on lowering the barriers to data sharing and embracing as well as incentivizing team science. Dr Xu is a leader and innovator, conducting cutting edge research in the field of Biomedical Informatics. Dr. Xu’s research seeks both to reveal the mechanisms that underlie human diseases and discover new drug treatments to combat them. Dr. Xu develops natural language processing (NLP), artificial intelligence, machine learning, data mining, statistical learning, systems biology, and other advanced computational techniques that can create, integrate, and analyze large amounts of heterogeneous and complex biological and health data. Her research interests in biomedical sciences include: drug discovery, disease gene discovery, human gut, microbiome, drug toxicity prediction, pharmacogenetics and pharmacogenomics, and post-market drug safety surveillance. 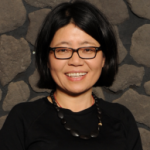 As evidence of her creativity and innovation, Dr Xu has recently received national recognition with three important awards: (1) The NIH Director’s New Innovator Award (2014), (2) The Landon-AACR Innovator Award for Cancer Prevention Research (2015), and (3) The American Medical Informatics Association (AMIA) New Investigator Award (2016). Dr.Xu was featured on 2016 Crain’s Cleveland Business “Who to Watch Health Care”, which highlights innovators in Northeast Ohio’s medical fields.